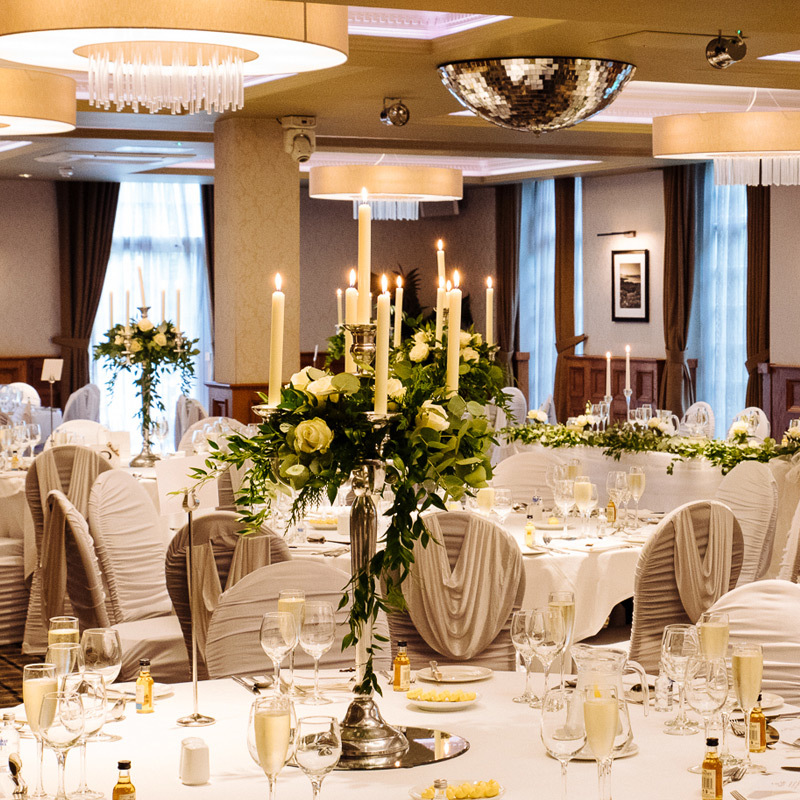 50-Guest Wedding Package perfectly tailored to your every requirement. 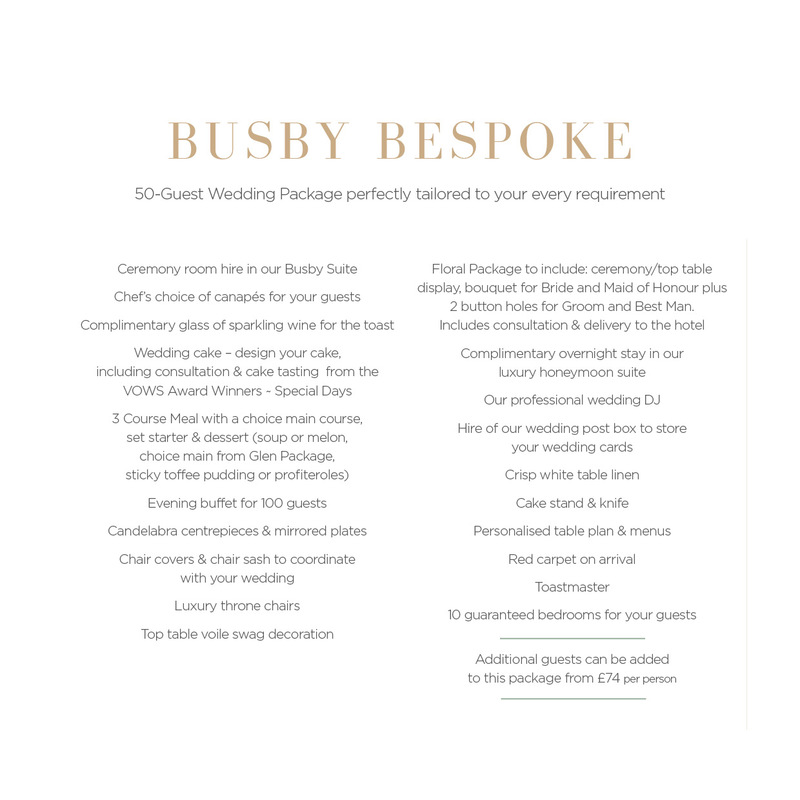 This package is filled with all those little details that complete your magical day. Additional guests and requirements can be added – speak to our coordinator for details. 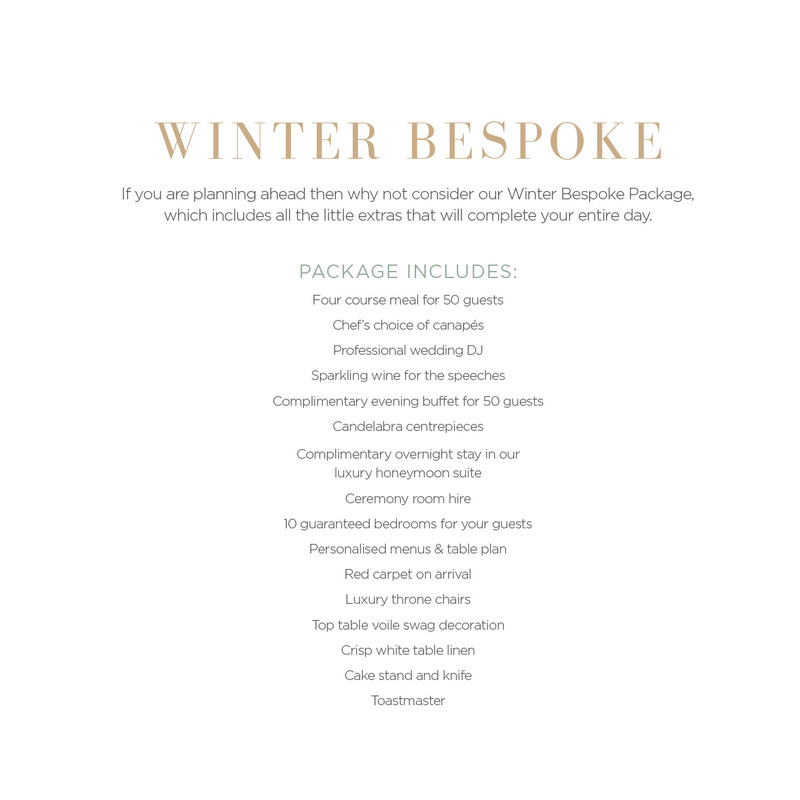 If you are planning ahead then why not consider our Winter Bespoke Package, which includes everything you’d expect from canapés to the red carpet – it’s filled with all those fine touches that you and your guests will love. 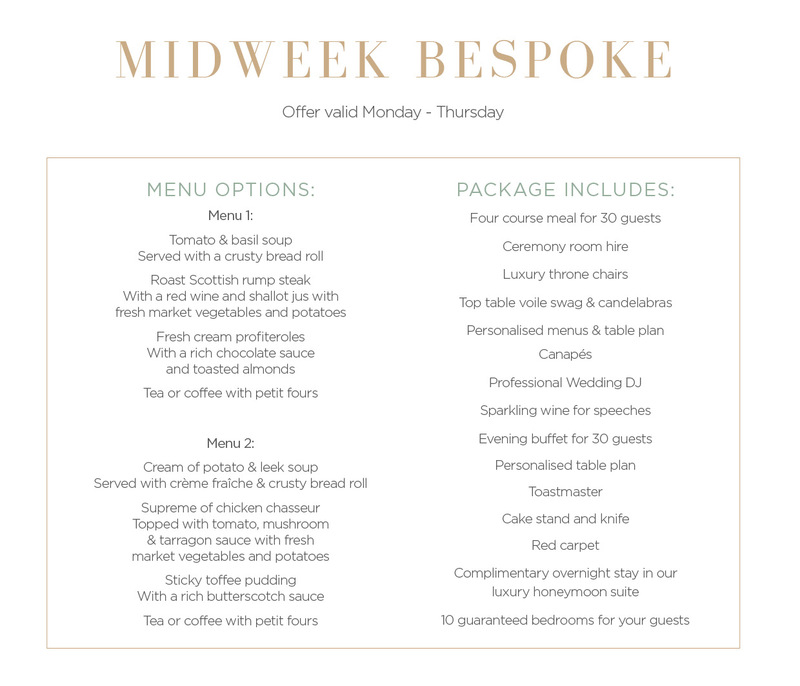 This offer is available Monday – Thursday and features some wonderful details such as sparkling wine for speeches, evening buffet for 30 guests, personalised table plan and a complimentary overnight stay in our luxurious Honeymoon Suite. 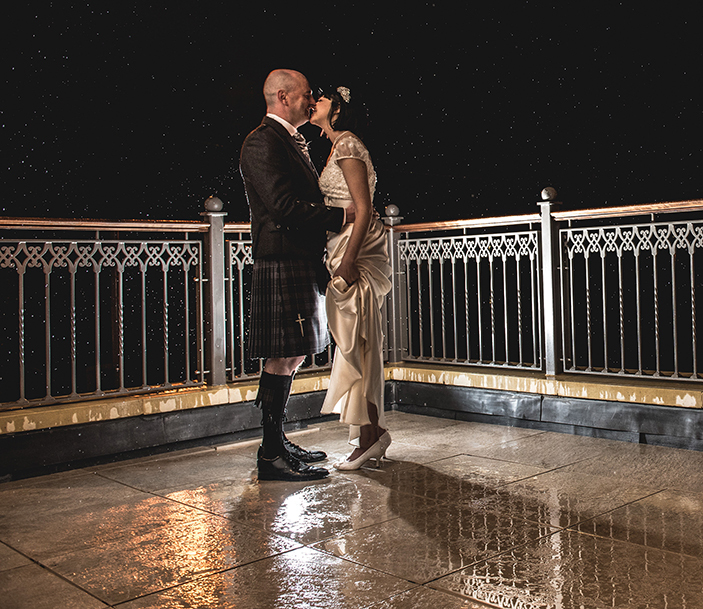 We’ve designed a choice of wedding offers that we feel will encompass everything you need and require to make your wedding day or evening more than perfect. 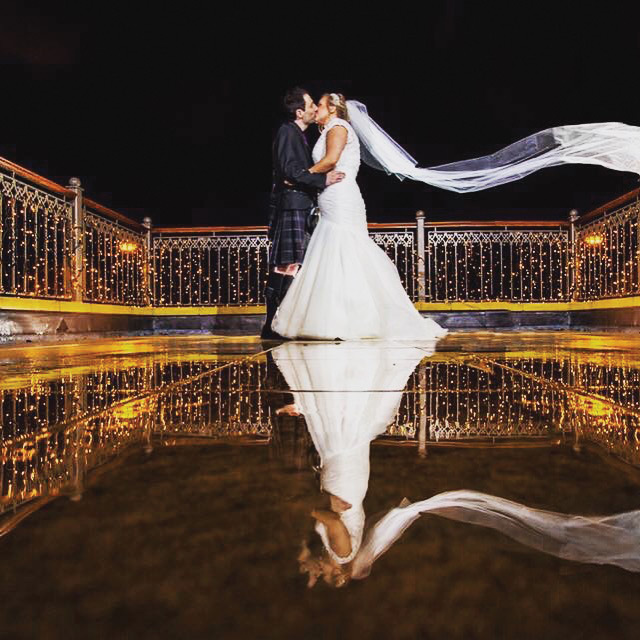 Winter weddings, bespoke packages and midweek wedding offers are available throughout the year so you can have the perfect choice when it comes to choosing your wedding date.